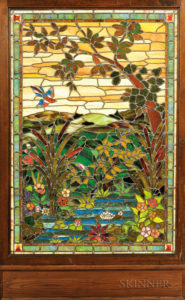 European Furniture & Decorative Arts Auction Jan 12, 2018 | Skinner Inc.
BOSTON, MA – Skinner, Inc. will present an auction of European Furniture & Decorative Arts in its Boston Gallery on Friday, January 12th. 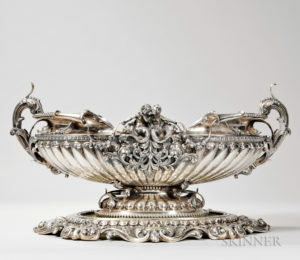 With over 600 lots on offer, the auction will feature an expansive selection of fine silver as well as European furniture and decorative arts of the 17th through early 20th centuries. 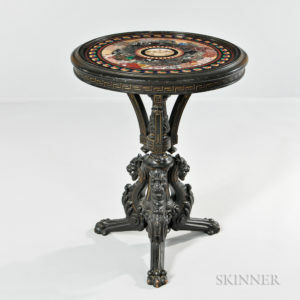 In conjunction with Thursday’s evening preview, Skinner will host a reception and lecture beginning at 5:30PM titled Today’s Interiors – Seeking Modernity in Antiques by interior designer Paula Daher. This entry was posted in News and tagged antique silver, british ceramics, decorative arts auction, european auction, european furniture, silver auction by Kerry Shrives. Bookmark the permalink.